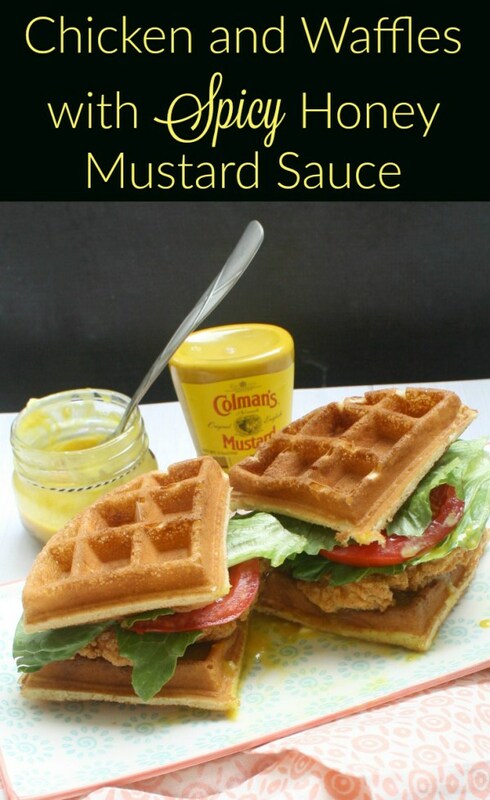 Momma Lew met Colman’s Mustard at the Summer Fancy Food Show and created this recipe for Chicken and Waffles with Spicy Honey Mustard sauce. Be sure to check out the recipe and find out more about Colman’s here. Colman’s Mustard is sponsoring a giveaway for a prize pack of Colman’s Mustard products. Assorted Colman’s Mustard products and merchandise. One winner per household, email address, or home address. If you have won this prize on another blog you are ineligible to win again. Winner must have a U.S.-based address to receive the prize. Momma Lew is not responsible for prize fulfillment. Giveaway will end 10/9/2016 11:59p ET. I would make southern potato salad. I would use it on my honey ham sandwich Gotta have good mustard.. I would make some potato salad and some baked beans. I’d use it on a ham sandwich! I would put it on a sandwich and I like to add it to my potato salad.